In anticipation of the policy committee meeting on Monday night, school board candidates had a range of answers on religion in schools. 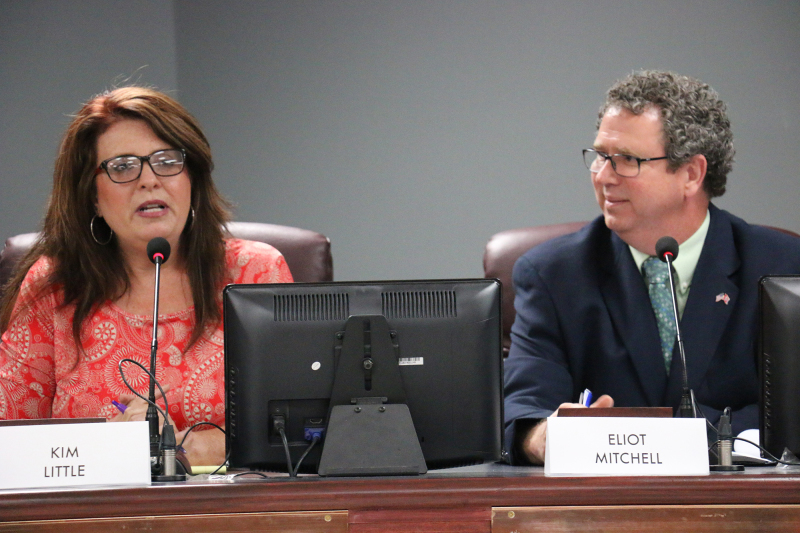 In anticipation of the policy committee meeting on Monday night, school board candidates had a range of answers on religion in schools at Thirsday’s Home Page Media Group and Williamson, Inc. candidate forum. This year, the board will have to create a policy on how the subject is taught in schools. Right now, Williamson County has “The Study of Religious Holidays” policy on hand, which has been there since 2001. Tennessee’s new law also would require Williamson to give parents further access to curriculum. Thursday night, each district’s candidates had the opportunity to share where they stood on various issues. All of the District Three candidates said they found it valid to have religion taught in a historical context. Candidate and former alderman Eliot Mitchell said he didn’t see a problem with having the subject taught and found it would help students when they entered into the working world. He said in order to understand society, students would have to have an understanding of the religion that makes up different parts of the world. Candidate Christy Coleman said up front she was a big supporter of students’ First Amendment rights, and was a fan of events like See You at the Pole. She said she further didn’t have any problems with school clubs focused on a religion. Though, she said she would have a problem when it meant an instructor telling students what to believe, but didn’t believe it was an issue in Williamson. Their competitor, Kim Little, said she 100 percent supported religion being taught in schools, but she said she was 100 percent against historical revisionism. She wants schools to teach it accurately. She said her children had no issues with any of it, because she taught her religion to them inside their home. This is part three in a series about issues and stances shared at the Home Page candidate forum.